Best Hidden Car Radio Antenna Review: Top on The Market in 2019! What’s the Difference Between Antennas? 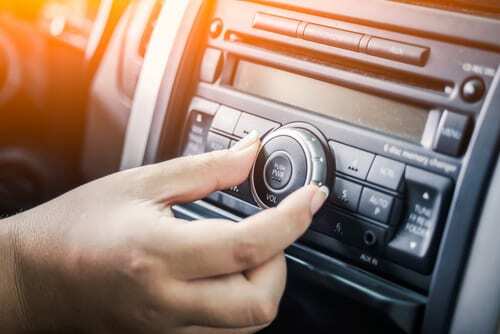 You can use your iPhone, Android smartphone, MP3 player and many other things to play music in your car. However, we believe that sometimes there is still nothing better than a traditional radio – cause it’s not only about music. Radio is something more than just music: it’s about news, broadcasts, shows, interaction, and real people – and that’s why we love it. If you prefer radio in your radio or garage and love it as I do, I have something interesting for you. It’s the list of the best-hidden car antennas – we believe that hidden antennas are much better than the whip ones. If you agree, you’ll be interested in this list. NB: the antennas here are sorted by price, so I’ll begin with the cheapest one and finish with the most expensive hidden antenna. Links are attached. It’s the cheapest antenna on the list. This ZHOL antenna is called “Truck” antenna, but it doesn’t really matter, because you can mount it on any vehicle, like a bus, motorcycle or even boat. It’s a so-called ground independent antenna, which means it doesn’t need to be grounded to metal. However, you still can mount in on glass or anywhere else. On the roof, for instance. The cable is 9 feet long, with standard car radio plug. This antenna weighs 3.5 oz (or 100 grams) and works on such frequencies: 535 kHz to 1.7 mHz (AM radio), 88 MHz to 108 MHz (FM radio). It’s enough to pick up the majority of local and national radio stations. 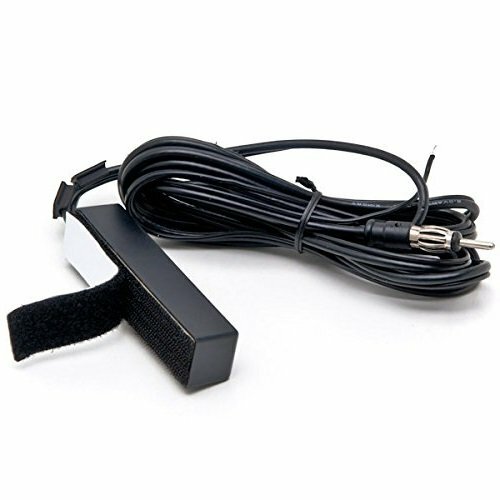 According to the reviews and feedbacks, ZHOL AM-FM is quite a good choice – it’s easy to install this antenna, it picks up almost all the stations needed, and, well, don’t forget that it’s the cheapest item in this list! However, it’s not perfect. Some people complain that this antenna doesn’t have a good reception, and sometimes it’s a problem to pick up AM waves. Unfortunately, it doesn’t also work well if you mount it inside the trunk of your car. We recommend to check if your car has an auxiliary port, because it’s impossible to install this antenna in such case. All in all, it’s a good choice for your money – but don’t expect something perfect for this money, it doesn’t make sense. It’s another cheap hidden antenna. BOSS Audio, the manufacturer, offers free shipping and considering this, BOSS antenna is even cheaper than the last one we’ve reviewed, ZHOL AM-FM. But it’s not only about the price. This BOSS Audio antenna is produced by BOSS Audio company (www.bossaudio.com) and it’s one of the best company in this market. You don’t need to worry about the quality because they’ve been doing such products for 30 years. As for the technical details – this hidden antenna weighs 1.6 ounces (45 grams), and the cable is 50 inches long. It picks up all the needed channels, but, well, this antenna works better with boats than with cars – in such case it can receive the radio waves 10 miles offshore! On the other hand, if you mount it into your car, it will still work better than your standard OEM antenna. By the way, it can be a little difficult to install this antenna – you will need to drill a hole to mount it (3/4 and 1/2 size). However, some people say that this BOSS antenna isn’t very good – thus, people say that there are problems with reception (especially if your car is in a parking garage or underground). It’s still a very good and very cheap antenna that works well, and remember, that it’s a perfect choice for marine purposes – so don’t miss it! 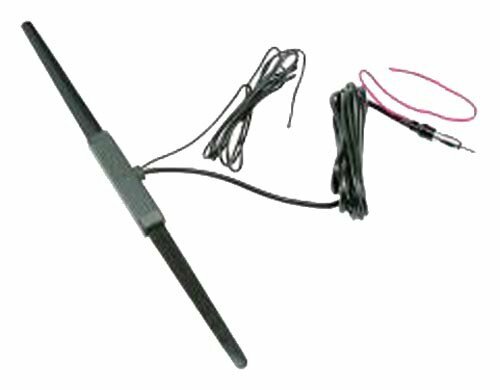 AN150SR is an antenna, produced by Jensen Marine. 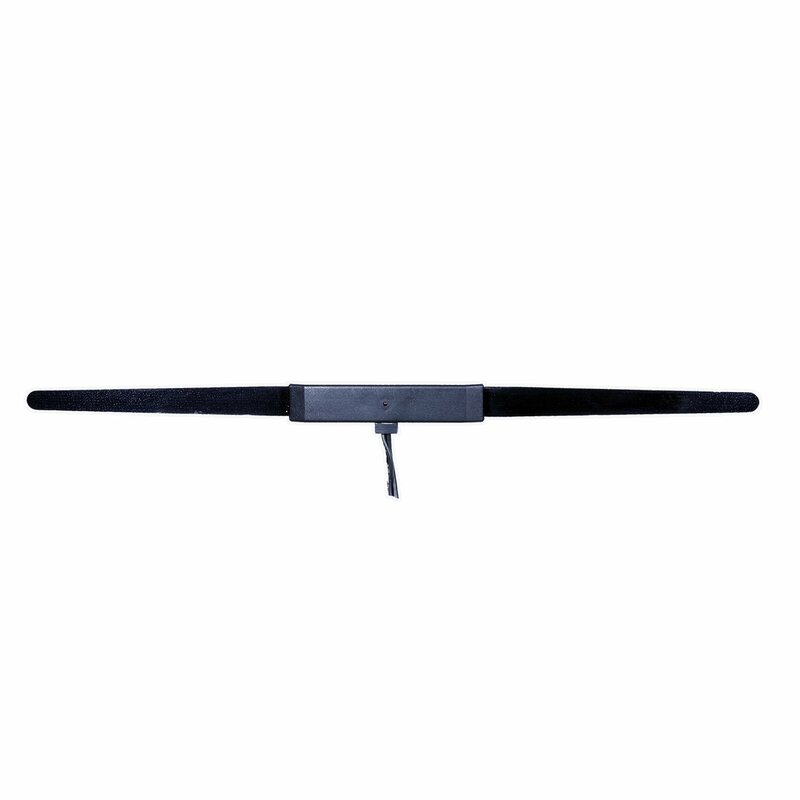 It’s a little more expensive, but it worth it – AN150SR is a very good long-range antenna for your vehicle (and it would be extra good for marine purposes). The cable is 7 feet long here (213 cm), so it would be enough for the majority of purposes. As we’ve said, it’s a long-range antenna, so not only local stations but the national ones wouldn’t be a problem for AN150SR. Please note that sometimes there is no AM signal at this antenna – it’s a common problem, according to some feedbacks. We’ve also read dozens of the reviews and have to warn you: think twice before mounting AN150SR in a trunk – there are no cheap antennas that would work in such conditions, so don’t expect too much from this one. It’s not the best and not the worst item in this list – but it’s very simple to install, it receives many FM and AM stations and it’s also very cheap, so we had to talk about it. To install this antenna, you’ll need to stick antenna cable to your radio and a power wire to a power source, that’s all – but well, all the antennas at this page can be mounted in this way. Unfortunately, it’s the last advantage of this hidden antenna. According to the feedbacks of AntennaX users, it loses signal even when your car is under a bridge (of course, the same is when you are in a garage) – and we don’t really think it’s a good result. This hidden antenna is produced by Metra (metraonline.com) and it’s a little more expensive than the last four antennas. Therefore, it’s better than them – this antenna is active magnetic, it receives all the radio stations needed, the coaxial cable is 102 inches long and it’s really not bad, according to the reviews. 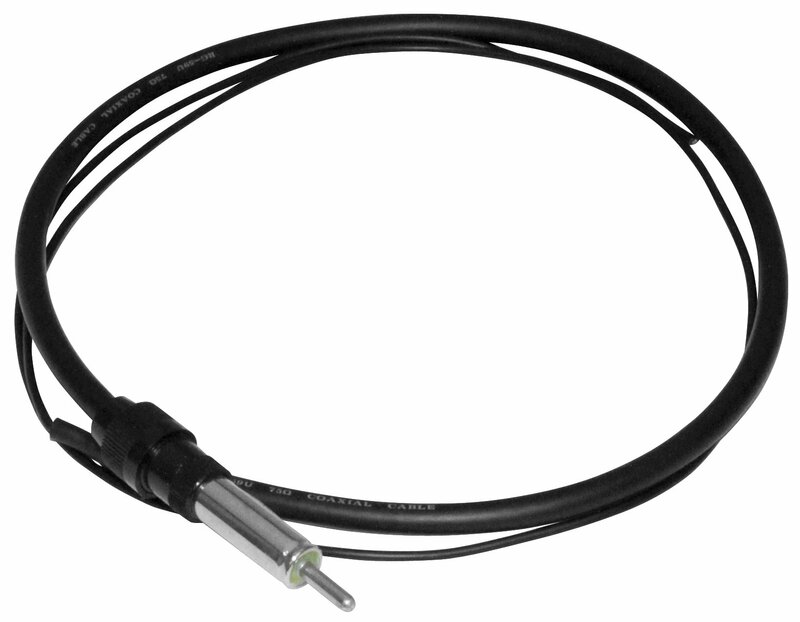 Metra Amplified antenna is very easy to install – you don’t need to drill holes in your car, motorbike or boat. It can also receive even distant radio stations, not only the local ones. It’s also cheap – not as cheap as our previous items, but the price is still good. Fast shipping is another advantage. Unfortunately, there can be certain problems with this antenna. Thus, there is no power indicator on it, and it doesn’t work well with AM channels (especially if it’s mounted inside a dashboard). Another problem is that there are no instructions, but it’s a common problem of the majority of cheap antennas. P.S. It would be better to buy an adaptor together with this antenna, because you may probably need a female-to-female adaptor. It’s often a problem to find such adaptor in local stores, so prepare well in advance! This antenna is produced in the USA by the Electronic Control Services Corporation. 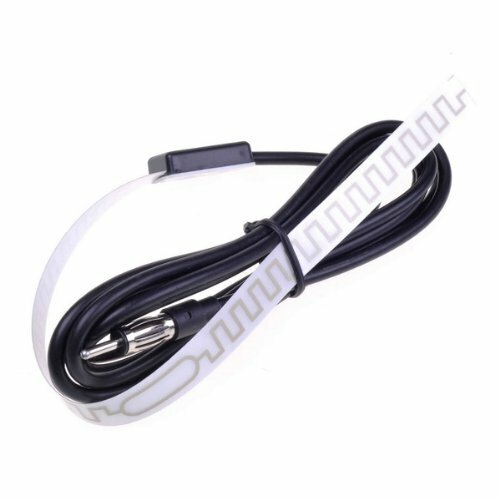 This company has been producing Tune Trapper antenna since 2004, and it’s probably one of the best choices for your car, truck, boar or any other vehicle. Why? Well, because of many factors. It’s a very flexible antenna that is very easy to install – all you need to do is to plug this Tune Trapper in, that’s all. You can install it anywhere in your vehicle, and it doesn’t require power, ground or amplifier – this is exactly what you need if you don’t want to complicate your life. Needless to say, this antenna picks up all the FM stations because it is hand tuned to 87.5 – 108 mHz FM waves. Of course, you can also listen to AM radio stations with Tune Trapper. 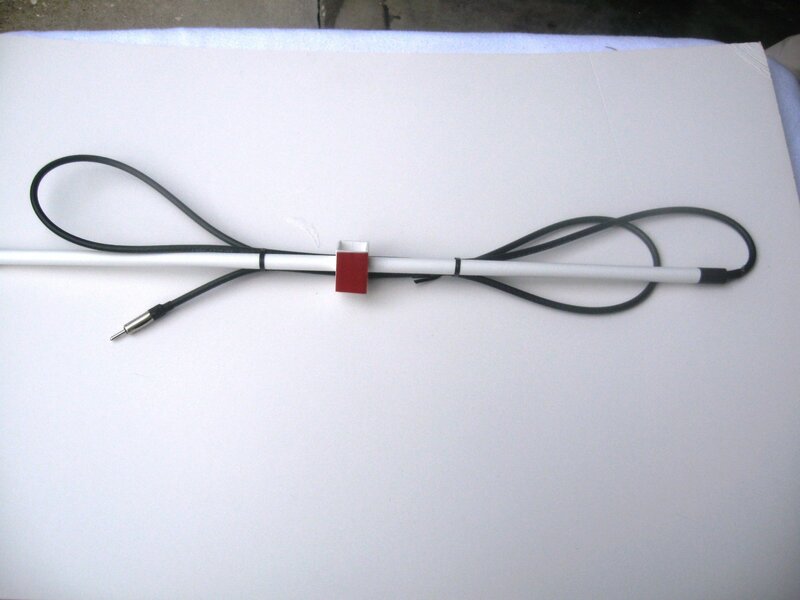 It’s a 24 inches long, full ½ wave dipole antenna (not ¼ wave like the majority of whip antennas), so its reception is better than the reception of many other antennas. We know that some people say it’s not the best antenna when it comes to local stations and AM waves. However, it’s still one of the best antennas for such price. All in all, we can recommend you to be picky when it comes to the hidden antennas. It’s not about money – $20 isn’t a high expense but if you don’t want to lose your time and spoil your morning travel to work with poor radio reception, you should buy something from this list. These antennas are really good and you should make sure of it.